Bristol, UK – Scientists at the University of the West of England have designed a pair of urine-pumping socks that are able to provide energy to a wireless transmitter. As scientists explained in the article published in the journal Bioinspiration and Biomimetics, they have designed a pair of high technology socks which, when filled with urine and are activated by the steps of the walker, they can generate enough energy to send a message. The new socks contain a network of integrated tubes that can hold up to 648 milliliters of urine. The act of walking forces the liquid through microbial fuel cells (MFC), which contain bacteria that consumes the nutrient, held in the pee, creating electricity in the process. “We wanted the system to be entirely self-sufficient, running only on human power – using urine as fuel and the action of the foot as the pump. This work opens up possibilities of using waste for powering portable and wearable electronics,” Ioannis Ieropoulos, the professor who led the research, said According to Telegraph. 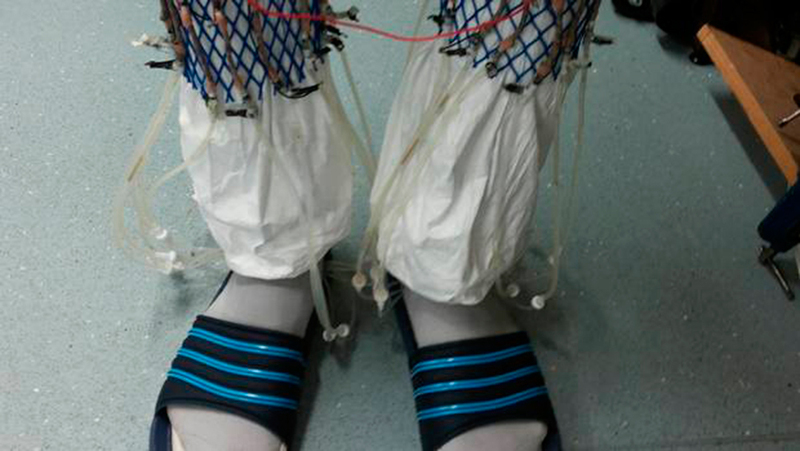 Through several experiments, the scientists placed under the heels of the socks, soft tubes to ensure regular push-pull fluid when walking, in which they could successfully demonstrate that the socks are able of powering a wireless transmitter that can transmit a message every two minutes. As stated in the post, this portable technology could be adapted to transmit the coordinates of a person in an emergency situation, as well as whether a person is alive or not because it takes human fuel and activity to make this technology work.